Overseas ｜ hunger Zero ｜One in seven suffers from hunger throughout the world! At Japan International Food for the Hungry, in cooperation with partners who have a strong understanding of local conditions we work to meet the basic needs of those who suffer from hunger and poverty, help people seek to fulfill their potential while loving their neighbor, and establish a society where people live in mutual understanding. In case of natural disaster, we respond quickly to dispatch emergency relief personnel, food and medical teams to save peoples' lives in the affected area. We support children in developing countries who cannot go to school due to poverty, enabling them to gain basic education and vocational training and develop into leaders in their communities. A foster parent supports one foster child. A foster parent can be an individual or a group. You can follow the growth of your foster child through reports that are sent from his or her country and letters you exchange with the child. Child Supporter: 4000yen per month will support one child. Donated funds are used to support the families, communities, and schools of the foster children so they can go to school. 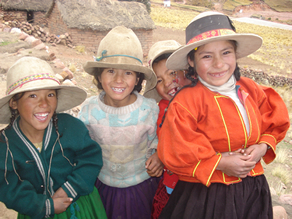 Child supporters strive to help families become stable and send their children to school on their own. For this we offer parents vocational training, literacy education, and low interest loans to help them establish financial independence. Many of those supported by us have been discriminated against just because they are poor. Through our programs we strive to encourage people, cased on the biblical teaching that everyone is created for a purpose and has value. 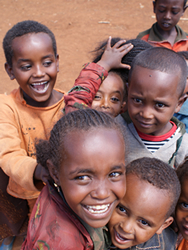 Creating ties between people is essential in international aid. JIFH has sent over 40 staff members overseas to work as bridges connecting the developing world with Japan. In the Horn of Africa, consisting of the northeastern countries of Somalia, Kenya, Ethiopia, and Djibouti, war, drought, and a rapid rise in food prices have combined to threaten thirteen million people with the most severe food shortages seen in the past 60 years, and already tens of thousands have starved to death. In politically unstable Somalia, where aid cannot be distributed easily the United Nations has declared a state of famine and further aid efforts are currently underway. People are streaming to neighboring countries in search of food and water; nearby Kenya, which itself suffers from food shortages, currently houses 500 thousand refugees. An estimated 3.5 million people are urgently in need of food assistance. 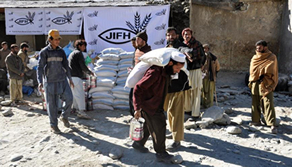 In response to these conditions, we at Japan International Food for the Hungry, in cooperation with three other organizations, are distributing aid including emergency food rations, flour, and vaccinations.